Many towns and cities are littered with small gaps in the Street View imagery. Why? As Google expands Street View into ever more exotic places, it appears to have a problem in many of the towns and cities where the service has been available for years. Look closely at any major city, especially the residential areas, and Street View is littered with hundreds, even thousands, of little gaps. And although it’s hard to be sure, the problem may be getting worse. Street View is still a powerful tool and the gaps don’t greatly diminish its utility—unless they happen to be in front of the building you’re searching for. But it’s strange that even in cities that Google’s cars have photographed several times over, there are still numerous stretches—sometimes whole streets—where Street View imagery isn’t available. 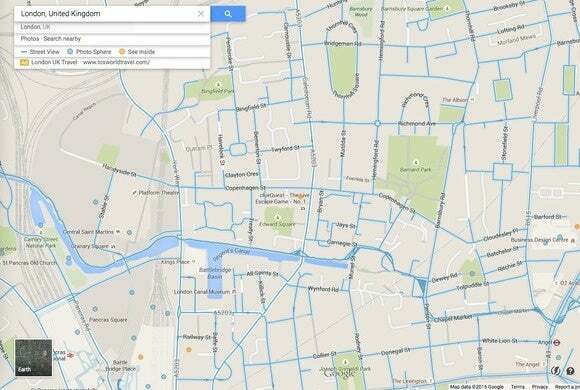 Google called the gaps a “known issue” and implied it’s due partly to a glitch in its early mapping software. But it refused to answer questions beyond that, including whether privacy requests are a factor, and whether the gaps are becoming more frequent. The Barnsbury area of north London, where there are gaps in Street View, pictured July 2, 2015. Why wasn't this caught in subsequent visits? But Google often revisits towns to update its imagery, and it’s hard to see why the Sunset residential district in San Francisco, for example—more or less in Google’s back yard—would have so many gaps. The pattern is similar in Tokyo, London, Berlin and many other cities around the world. The gaps aren’t big, and it’s possible to overlook them at first glance, but once you’re aware they exist, they seem to appear all over the place. One possible culprit is that people have asked to have their homes blurred for privacy reasons. Google explains on its Maps privacy page how to request this, and it’s a relatively simple process. Famous people often file such requests. 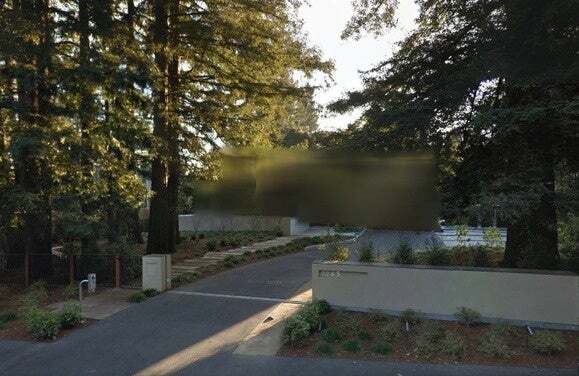 There’s a gap in the Street View imagery outside Mark Zuckerberg’s house in Palo Alto, for instance, although his home was visible in the past. But a lot of regular folk have asked to have their homes removed too, judging by the prevalence of blurred images in residential areas. Google has blurred out the home of Sheryl Sandberg, Facebook's chief operating officer. 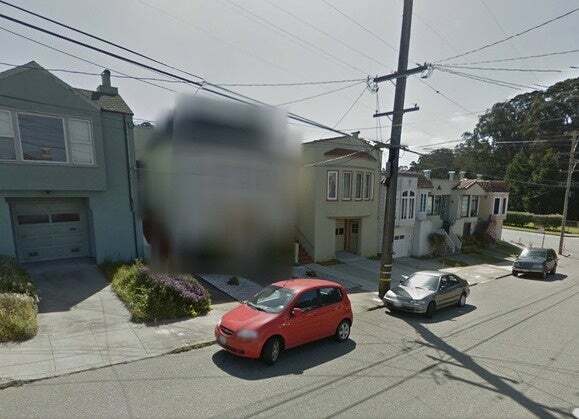 In some cases, those blurring requests may have caused some of gaps in Street View. If you approach the edge of gap on a residential street, you can often zoom in and see a house in the missing section that’s been blurred out. It’s hard to be sure about the causes, though, since Google isn’t talking. 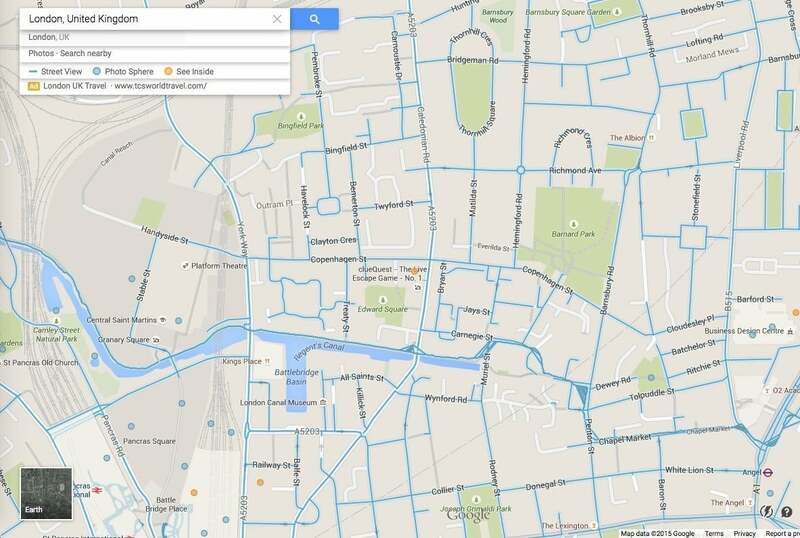 Some users have noted the gaps in a Google Maps forum, and they point to some strange examples. On the tiny island of San Andres in the Caribbean Sea, a Street View car appears to have driven a third of the way around the island’s perimeter road and then stopped for no obvious reason. There are no apparent obstacles or construction—though there does happen to be a bar by the side of the road where the car stopped capturing images. There’s another curiosity in San Francisco’s Presidio Terrace, a gated community with a circular road and about two dozen homes. Most of it doesn’t appear on Street View, but there are a few short stretches deep inside the complex that do. A telltale shadow shows that one of Google’s cars was in there, but for some reason Google displays images for only a fraction of it. Plenty of exotic locales are impressively covered, however, and Google is adding more all the time. If you want to use Street View to check out the Great Barrier Reef—where the fish apparently have no concerns about privacy—you can really go to town.